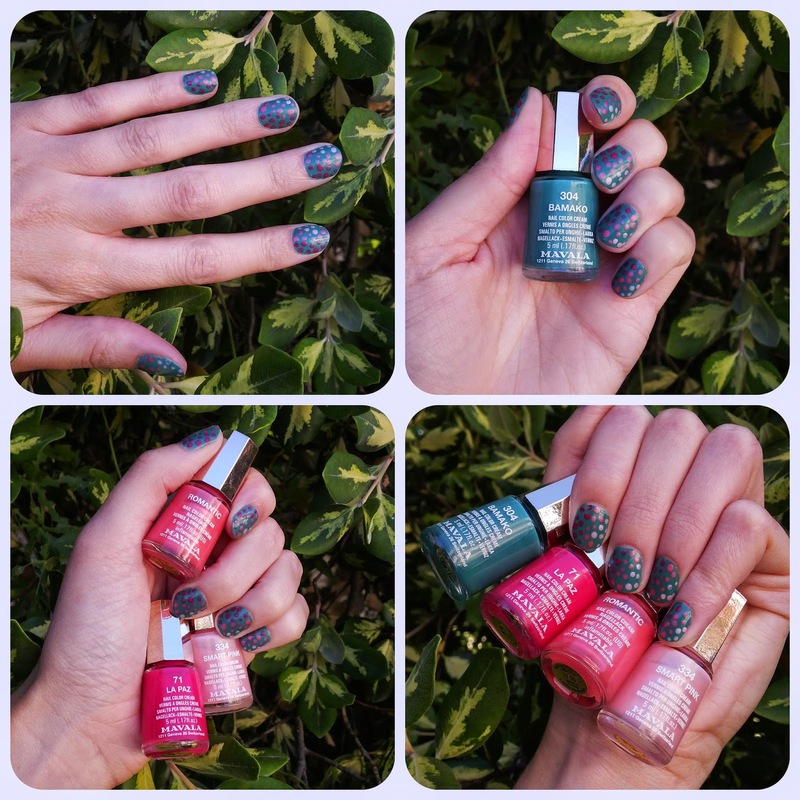 Samantha is sharing another manicure with us today, a really fun Mavala manicure using 4 shades from their range. Bamako (304) used as the base. The used varying shades of pink to create a ombre effect with the dots - La Paz (71), Romanti and Smart Pink (334). The colours are really beautiful and Sam says that she got 4 days of chip-free wear out of this and only chipped because she was doing a lot of hard work outside in the garden.